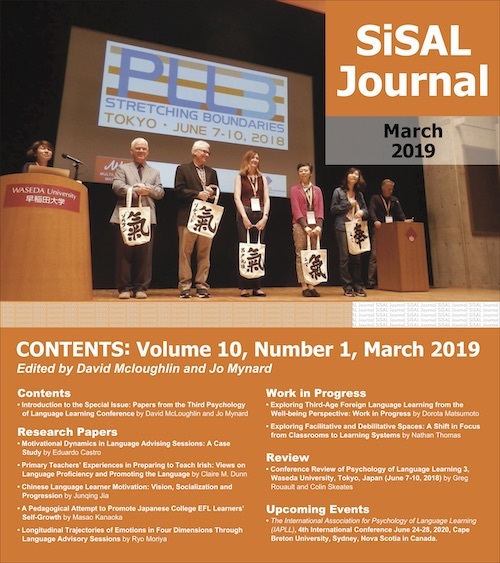 (/si:sæl/) SiSAL Journal is an open access, peer-reviewed, quarterly publication for those interested in the field of self-access language learning. The articles reflect the ongoing contributions to the field and are aimed at international researchers and practitioners. The scope of the journal incorporates self-access learning and skills support centres which aim to promote learner autonomy. The journal is published by Kanda University of International Studies (KUIS), Chiba, Japan. The journal started as a project within the English Language Institute / Self-Access Learning Center (SALC) at KUIS in 2010. Read more about the SALC. SiSAL Journal operates a true open access policy in line with the Budapest Open Access Initiative (BOAI), i.e. Copyright © 2019 Studies in Self-Access Learning Journal, ISSN 2185-3762.